Monica Ann Dominguez, a 52-year-old Latina, was fatally shot on Wednesday, Feb. 13, in the 200 block of East Center Street in Covina, according to Los Angeles County Medical Examiner-Coroner's records. Dominguez and her husband, Michael Rivera, 62, were arguing inside their bedroom with the door locked when their grandchildren heard gunshots around 4:45 p.m., said Covina Police Sgt. David Rodriguez. "The oldest juvenile, a teenager, said he heard the arguing, then the gunshots," Rodriguez said. "Then they smelled smoke and didn't hear anymore arguing, so they went to a neighbor's house to call the police." When officers arrived, they found Dominguez and her husband in the bedroom, dead from gunshot wounds, Rodriguez said. Maria Ignacia Perez, a 42-year-old Latino female, died Wednesday, April 11, after being shot in Covina, according to Los Angeles County coroner's records. Ray Bonilla, a 55-year-old Latino male, died Thursday, Feb. 22, after being shot in Covina, according to Los Angeles County coroner's records. Karla Villa, a 15-year-old Latina, died Sunday, Jan. 7, after being shot in the 4500 block of North Heathdale Avenue in Covina, according to Los Angeles County coroner’s records. The Baldwin Hills High School sophomore was with a group of about 10 friends around 9:45 p.m. on Saturday, Jan. 6, said Los Angeles County Sheriff’s Det. Gus Carrillo. Several groups of teenagers had received an Instagram message about a party on North Heathdale Avenue, Carrillo said, but when they arrived, the residents said there wasn’t a party at the house. Daniel Navarro Jr., a 22-year-old Latino male, died Sunday, Nov. 26, after being shot in Covina, according to Los Angeles County coroner's records. Nicole Dannielle Biewener, a 23-year-old Latino female, died Sunday, Feb. 19, after being shot in Covina, according to Los Angeles County coroner's records. Rene Atolinar Montano, a 39-year-old Latino, died Saturday, Oct. 1 after he was shot in the 17600 block of East Brookport Street in Covina, according to Los Angeles County coroner’s records. Montano was standing in front of a residence in Covina about 1:13 a.m. when he was shot multiple times in the upper torso and collapsed on the lawn, Los Angeles County Sheriff’s Lt. Mike Rosson said. Montano was taken to a nearby hospital where he was pronounced dead at 12:38 p.m., according to coroner’s records. Residents reported hearing gunshots and a vehicle in the area, but no one reported seeing the shooting or the gunman, Rosson said. 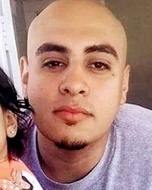 Victor Vidal Sigala, a 19-year-old Latino, was shot and killed by an off-duty police officer on Wednesday, July 6, in the 500 block of North Asuza Avenue in Covina, according to Los Angeles County coroner’s records. Sigala, who is believed to be from the San Gabriel Valley, was shot after he allegedly tried to rob an off-duty Los Angeles Police Department reserve officer at a Carl's Jr. restaurant, said Covina Police spokesman Sgt. Gregg Peterson. The officer, dressed in civilian clothes, was waiting for his food about 3:13 p.m. when Sigala walked up to him and “revealed a weapon hidden in his waistband,” according to coroner’s records. “He wasn’t asking for money, he was asking for property,” said Peterson. Margaret Machiko Yamaguchi, a 61-year-old Asian woman, was fatally stabbed Monday Sept. 7, in the 800 block of West San Bernardino Road in Covina, according to Los Angeles County coroner’s records. Covina police officers responded about 5 a.m. to a call about a woman not breathing in an assisted-living facility. When officers arrived, Yamaguchi was on the floor of her room, suffering from several stab wounds. Paramedics pronounced her dead at 5:41 a.m. at the scene. The subsequent investigation revealed that Athina Sumi Rivera, Yamaguchi’s 43-year-old daughter, was spending the night in her mother’s room. Rivera woke up in the middle of the night and allegedly stabbed her mother. An autopsy report showed that Yamaguchi was stabbed 30 times. Rivera was arrested the day of the crime and later charged with one count of first-degree murder, according to prosecutors. 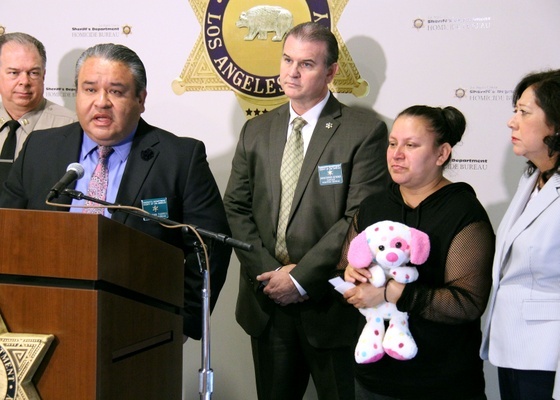 Abigail Ann Lopez, a Latino female, died Friday, Jan. 18, after sustaining blunt force trauma in Covina, according to Los Angeles County coroner's records. Behind 204 N. Vecino Ave.
Thomas David Fernandez, a 23-year-old Latino male, died Sunday, Oct. 28, after being shot in Covina, according to Los Angeles County coroner's records. Julian Sosa, a Latino male, died Wednesday, Oct. 24, in Covina, according to Los Angeles County coroner's records.